Welcome back to the 2nd post of my college hairstyle series! September is here, and school is in full swing! 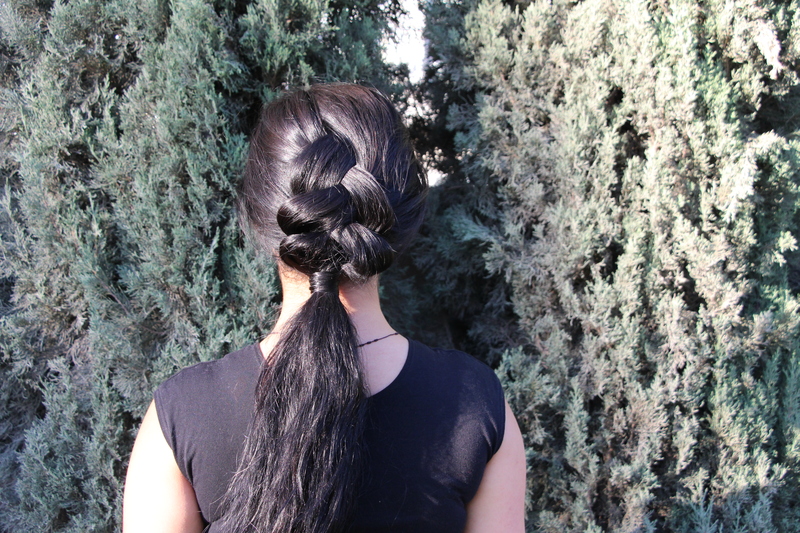 Today I’m going to show you how to do this adorable hairstyle I call the Pulled Dutch Ponytail. 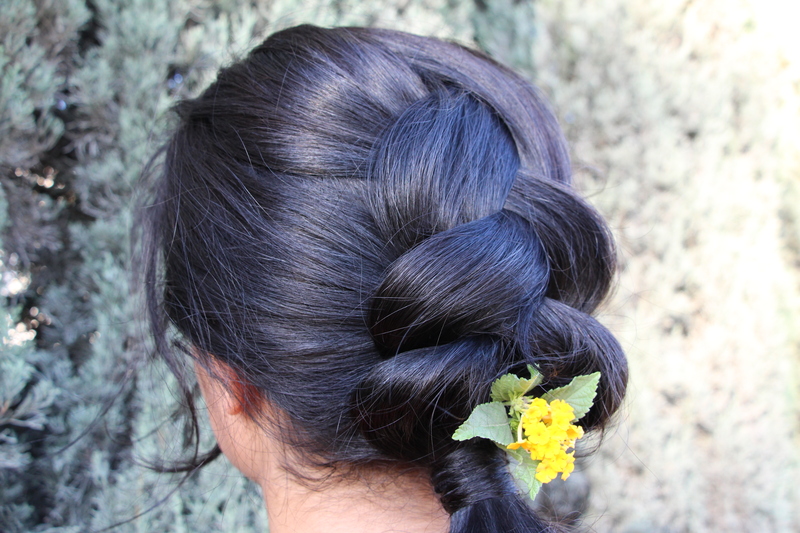 It’s much faster than doing a full dutch braid, and keeps your hair out and away from your face all day long. 2.) Split the section into three. 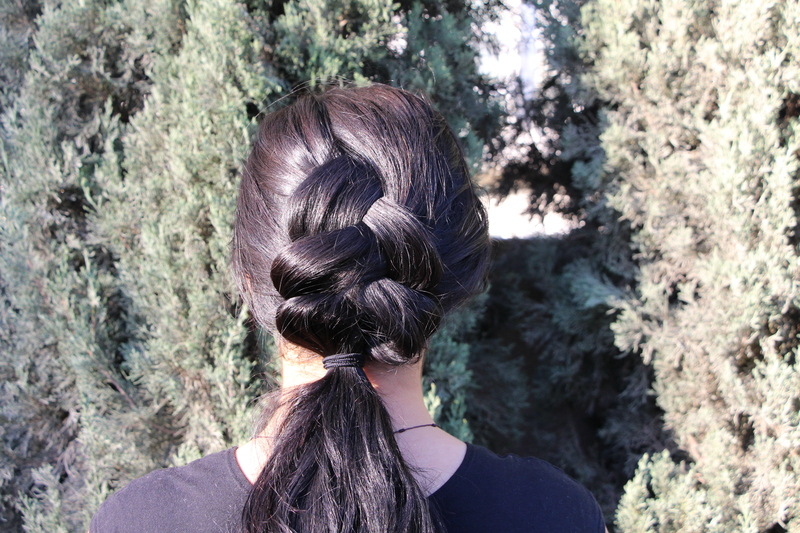 Begin a dutch braid, making sure to grab large sections. (I grabbed a total of 6 sections altogether.) 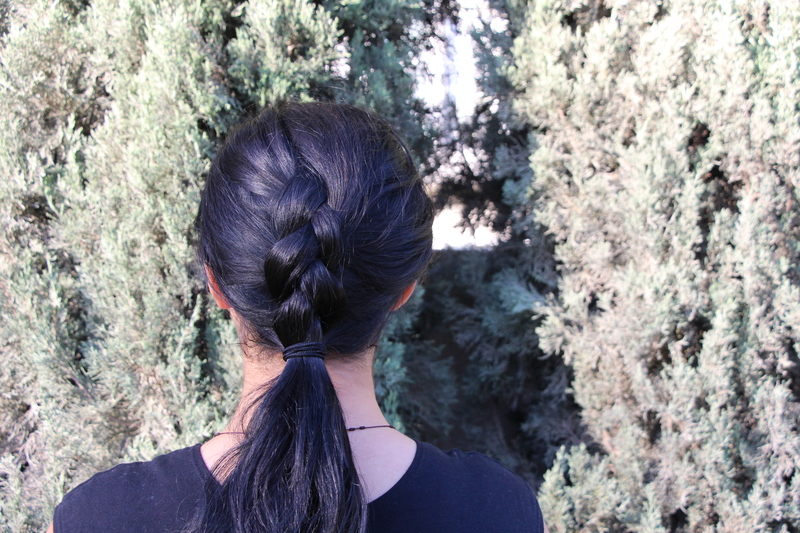 important note: in order for the braid to look big and messy, it is crucial to grab larger sections. I recommend grabbing three large sections from each side of your hair. 3.) 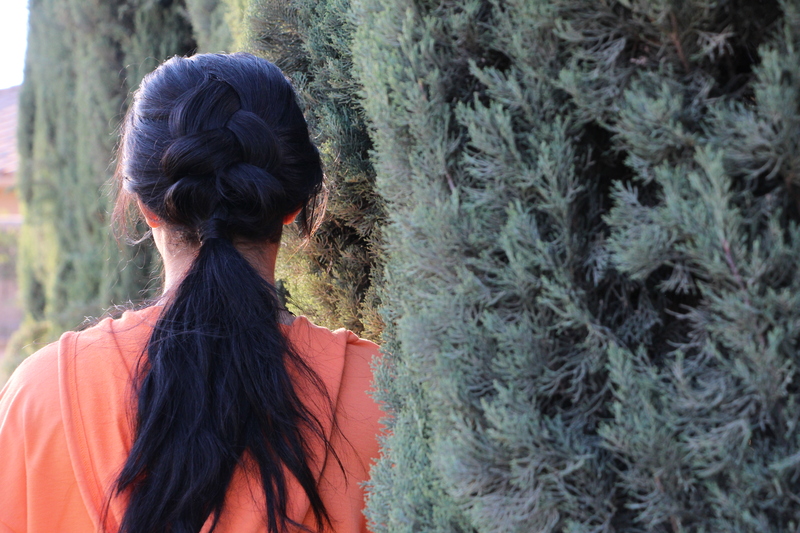 Once you reach the nape of your neck, you should have no more hair to gather. 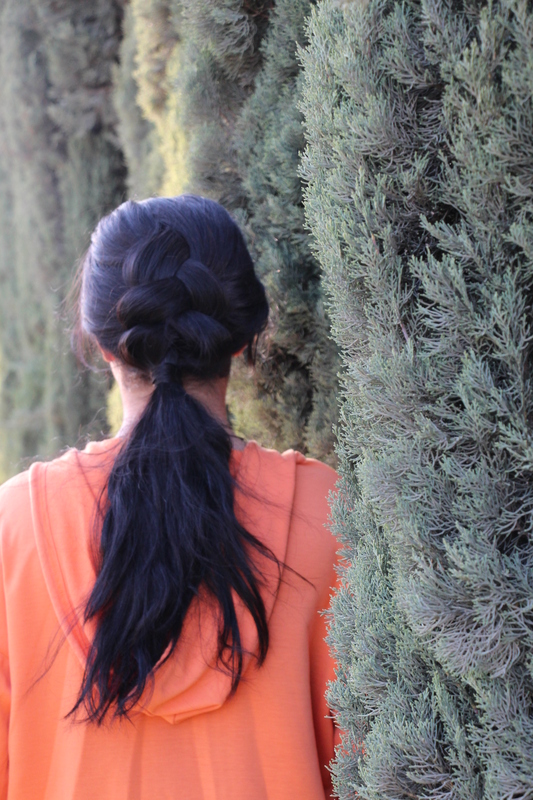 Secure the braid at the nape of your neck with a hairband. 4.) 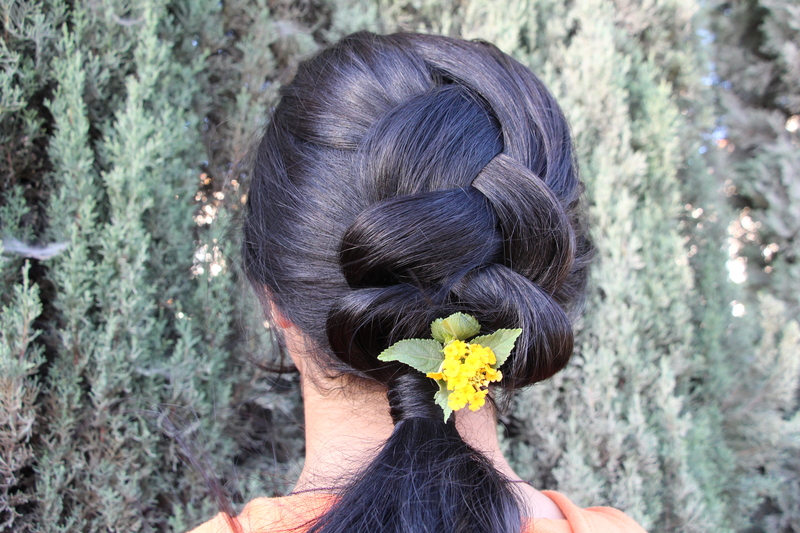 Pancake the dutch braid. To “pancake,” all you need to do is pull/tug on the braid, gently, till the braid is however large/pulled as you want it to be. 5.) 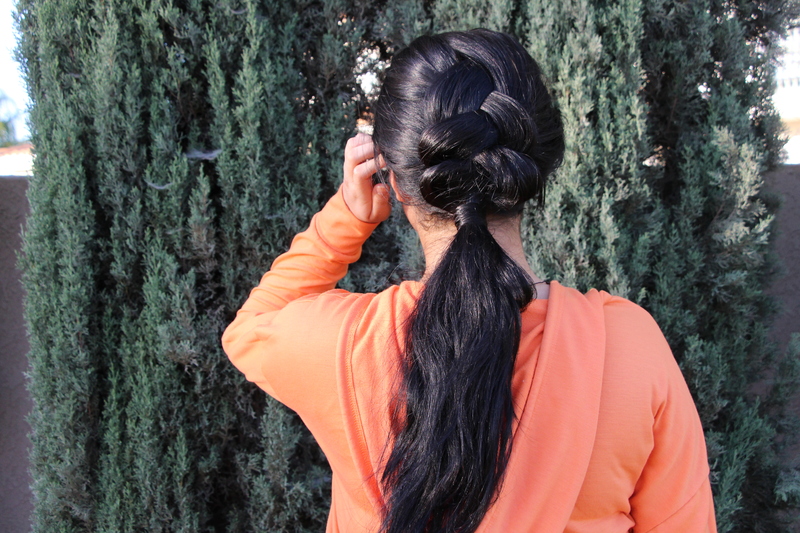 Grab a small section of hair from your ponytail, and wrap it around the band. Secure with bobby pins. I hope you all have enjoyed this post. Let me know what you think of the hairstyle in the comments, and don’t forget to leave us some hairstyle request here. I’ll see you all next month for another addition to my college hairstyles series! Aw, thanks Clare! 🙂 I’m glad you think so.